First Coffee Symposium in Borneo from 6 to 7 April, 2019, at the Old Court House in Kuching. The symposium will bring together a line-up of coffee experts from around the world, from coffee scientists to farmers and estate owners in the industry. Among the speakers and presenters are Dr. Steffen Schwarz, a veteran of the European Coffee industry, Jacob Mammen who is a 3rd generation planter of the Estates owned by the Mammen family as well as Andres Quantanilla who is a fourth-generation coffee farmer from El Salvador, and many, many more. Find more information on the speakers list here. When one thinks of coffee, the first region coming to mind is not Borneo. And yet, Borneo is in the centre region of the coffee belt where temperatures are best suited for coffee cultivation. Borneo has some of the most exotic coffees, including a rare species of Liberica which was tasted for the first time by European coffee experts at the Stuttgart Coffee Symposium this year. They were surprised by the fruitiness of the coffee exhibited. 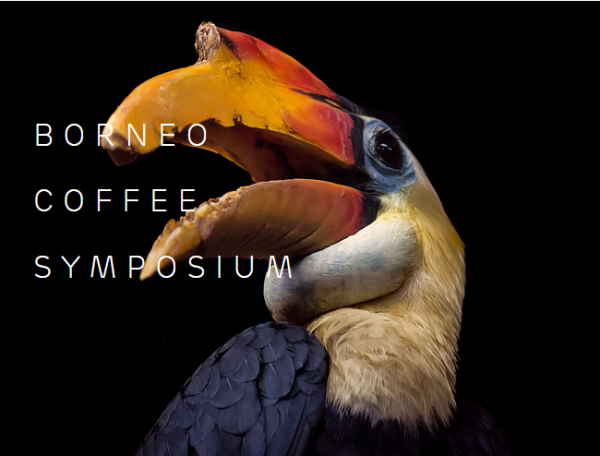 Thanks to the response at the symposium in Stuttgart, Earthlings Coffee Workshop decided to hold a coffee symposium in Kuching; to show the world that Borneo has something to offer to the global coffee industry.